A New Year is coming soon. Have you a gift to reward yourself after a year of hard work? Do you think of a New Year’s trip in another country? 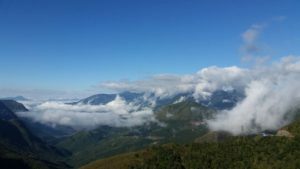 The peak of Fansipan Mountain, Ta Van Village, Cat Cat Village, Muong Hoa Valley and O Quy Ho Pass are popular check-in places in Sapa town, Lao Cai Province. These are great destinations for those who want to enjoy the winter in the highlands of northern Vietnam. Hạ Long Bay is a UNESCO World Heritage Site and popular travel destination in Quảng Ninh Province, Vietnam. The bay features thousands of limestone karsts and isles in various shapes and sizes. 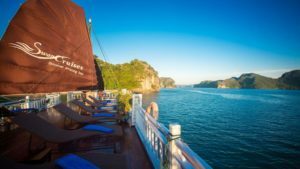 Come here, travellers can visit Linh Phuoc Pagoda, Domaine de Marie Church and Truc Lam Zen Monastery are sightseeing attractions you should not miss. Seoul is a new destination for Vietnamese tourists. The city has cool weather, delicious food and many shopping malls attracting more young people.